What is the difference between a brand name drug and and Generic Medicine ? The only genuine difference between most brand name drugs and their generics is the brand product costs more. All generics provided by Longwood Pharmacy in Seminole County are rigorously government tested and approved for chemical and medicinal equivalence to their brand name counterparts. Our generics have the same quality, purity and stability as brand name drugs. Generics often cost less because the brand name manufacturer’s patent may have expired, which permits generic drug makers to make the identical product and compete with the brand manufacturer. When the patent expires, patients finally benefit from a fair and free market for the product. So go ahead and take advantage of this benefit. Generics are the smart choice for saving money. 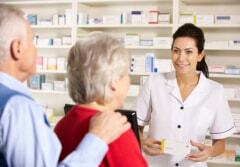 Ask your pharmacist if there is a generic available for your medication.